Being a full-service media agency Surrey, Thunderbolt must keep up to date across all social media platforms. Public holidays and events have become increasingly popular for marketing campaigns and PR stunts, with the money that is being invested increasing every year. 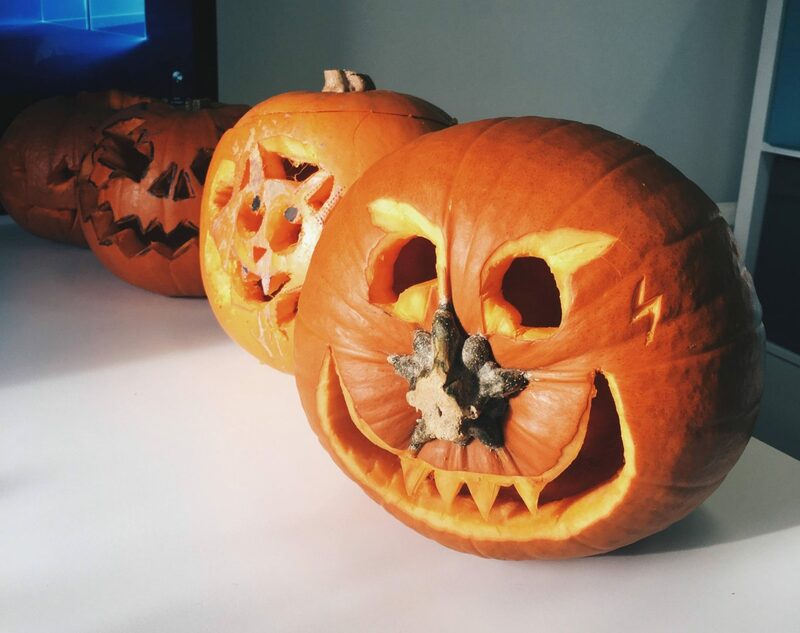 2016 saw the British population investing a scary £310 MILLION – with 40% of all Brits spending money on Halloween! Snapchat’s ‘Snap-map’ update saw an uproar of negativity, with many users unhappy with the privacy restrictions. With the ability to set your profile as a ‘ghost’ (appropriate) and be invisible to your friends, we believe the privacy issues are a thing of the past. Especially because of its awesome Halloween features! Our Snapchat maps displays a creepy themed map, as well as visible friends trick or treating and water resembling lava! With the strangely familiar Snapchat looking camera filters being a huge hit, Instagram and Facebook have both launched multiple spooky stickers and filters. Both platforms also include a live-stream themed filter, so expect many celebrities wishing their fans a happy Halloween with a Frankenstein mask! An interesting feature from Facebook gives you the ability to play a game within the live camera, allowing you to post your high-score alongside a scary selfie! Here at Thunderbolt we always encourage making the most out of all holiday marketing opportunities, with Halloween perhaps being more celebrated than Christmas for a select few in the office! To celebrate the occasion, our MD Saybhan agreed to a pumpkin carving contest to compare the creativity of all departments! There is a lot of fun to be had on social media this Halloween! Each year there are more and more amazing costumes being shared and Halloween videos going viral – which is why social media can be such a powerful tool for marketers. Thunderbolt Digital media agency Surrey stays up-to-date with all current trends in order to optimise your online marketing strategies. If you need inspiration on how best to utilise public holidays like Halloween, then give us a call on 01252 413757 or pop us an email to howdy@wearethunderbolt.com. Happy Halloween!